Work Wide Women is a social learning platform whose primary goal is to promote online learning & development for women. Something they strive to do is creating links and bonds in the different communities. One way to do this is by using branded products that have an inherent usefulness, so more people they can reach and the greater the brand awareness. In order to increase customer retention, Work Wide Women created a pack with a t-shirt, bag, mug and a pocket mirror. The goal was to create a campaign that highlighted the motivation and empowerment of women. 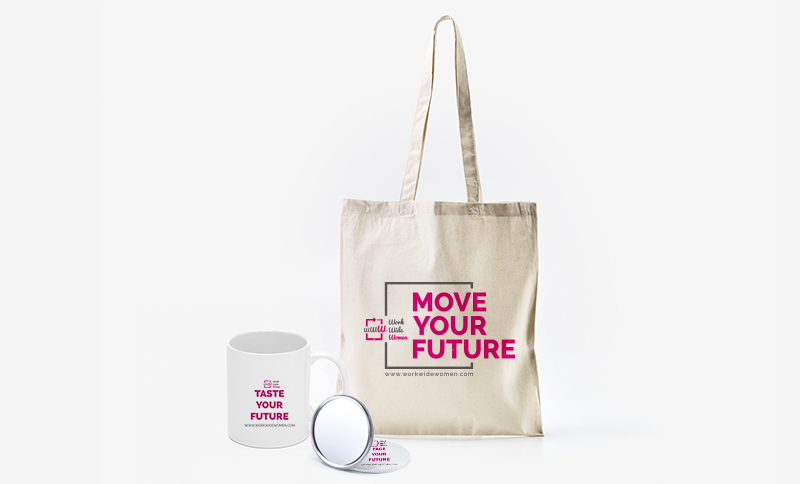 Every personalised goodie contains, in fact, a message expressed in multiple ways but with a single objective: to embrace the future and reinvent the present time without fears, with a desire to get involved and contribute. Useful goodies for a working woman that loves to take a particular time of her day with a bit of irony. 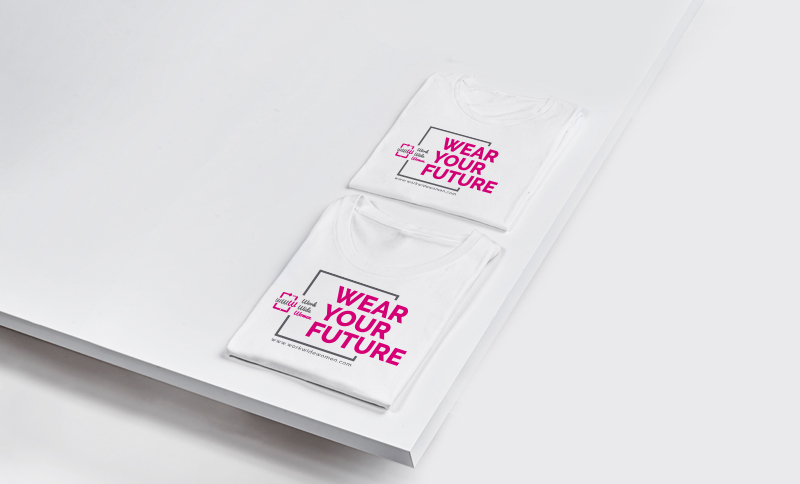 Through the catchphrases "Face your future", "Move your future", "Wear your future" and "Taste your future", the goal is to convey to all the women using the e-learning platform the spirit of the community. The campaign concept is "we are teaching women the professions of the future", so everybody that is part of Work Wide Women is aware of how important it is to be an active participant of this change process and of taking ownership in defining her future, devising new personal horizons and professional challenges every day.